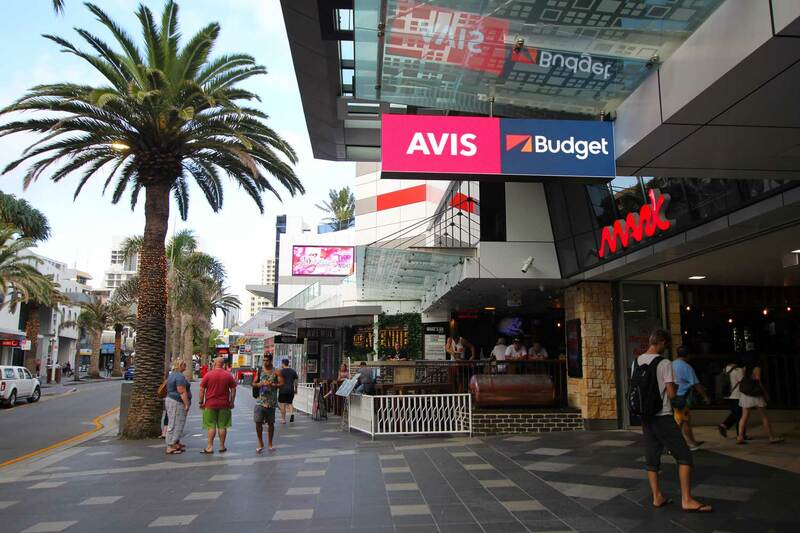 Located at Orchid Avenue in the centre of Surfers Paradise, The Mark was historically one of the first retail precincts established in the heart of the Gold Coast. 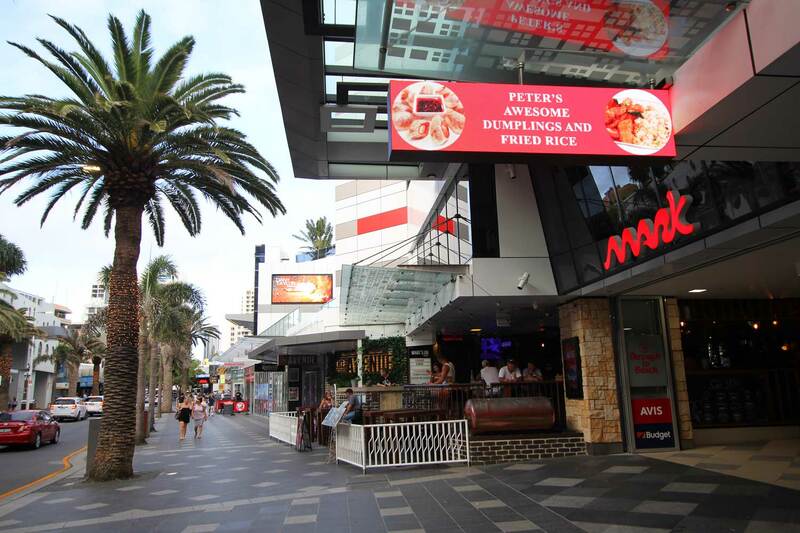 Owned by Hachma International Australia, the precinct is a great dining & entertainment destination for locals and visitors alike. To promote businesses within the complex, the management decided to invest in new digital advertising platforms and contacted the VuePix Infiled team to provide the best digital advertising turnkey solution for the precinct. 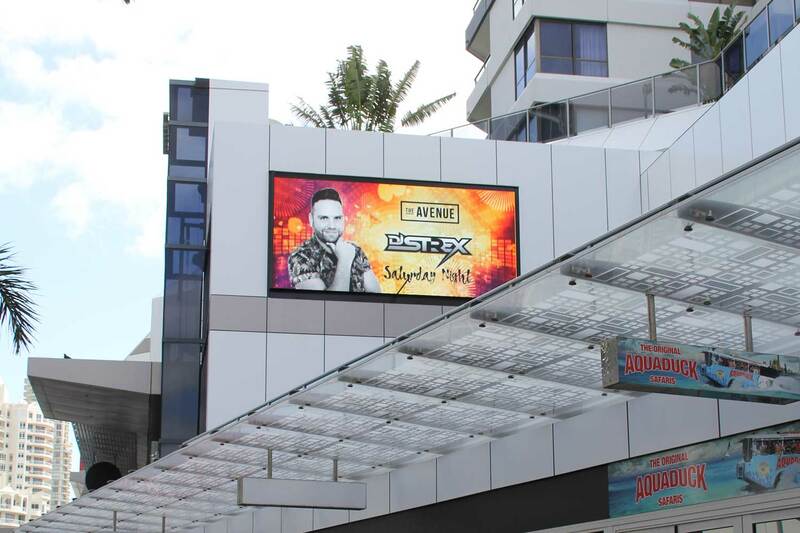 The main advertising LED billboard is 5m long and 2.3m high, featuring VuePix Infiled Global Media panels, which have been placed in a sleek aluminium frame and attached to one of the buildings within the complex. 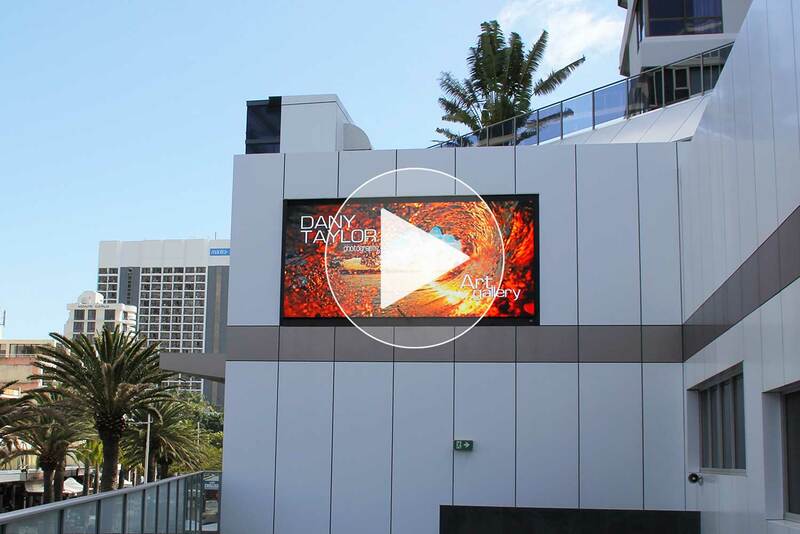 The main advertising LED billboard is 5m long and 2.3m high, featuring VuePix Infiled Global Media panels, which have been placed in a sleek aluminium frame and attached to one of the buildings within the complex. The VuePix Infiled GM series has been specifically designed for fixed outdoor advertising applications. It offers a balance between weight and durability to withstand harsh environmental factors such as direct UV rays, varying temperatures, constant vibrations and severe weather conditions. With the 8mm pixel pitch resolution, the digital display delivers exceptionally clear visuals with high brightness of over 5000nits, outstanding contrast ratio and high refresh rates. The panels are equipped with automatic brightness sensors, ensuring superb visual performance in any light condition. The patented Display Monitoring System allows live monitoring of the screen and its key vital working conditions. The VuePix Infiled GM series has been specifically designed for fixed outdoor advertising applications. It offers a balance between weight and durability to withstand harsh environmental factors. 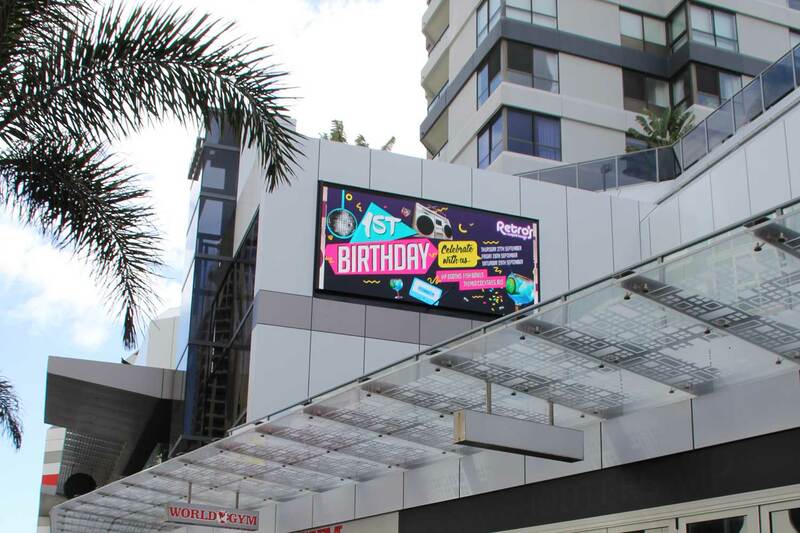 Not long after the main advertising screen installation, management approached the VuePix Infiled team again to request an additional screen to be installed within the main arcade of the complex. The arcade acts as a thoroughfare between renowned Orchid Avenue and The Esplanade, providing high foot traffic, making the arcade a perfect place for an additional digital advertising display. This time the VuePix Infiled ER 3.9mm outdoor panels were used, due to its location, attachment to the building and the viewing distance.